Temperature and humidity transmitter adopts capacitive type digital temperature and humidity sensor, wide measuring range, high accuracy, anti-interference ability, high-definition TFT color display, built-in alarm module (high/low temperature alarm, high/low humidity alarm), output RS485 signal, 1000m maximum communication distance. Multiple temperature and humidity transmitters can form a network temperature and humidity monitoring system. 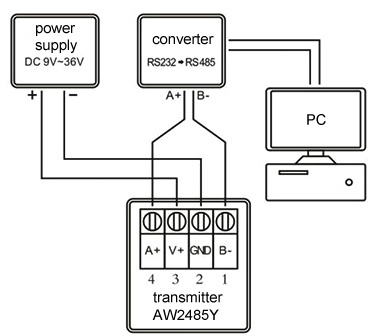 And the maximum number of cascading transmitters is 254. Temperature and humidity transmitter built-in alarm module, RS485 output signal, TFT color display. Application: Temperature and humidity transmitter is widely used in electronics, pharmaceuticals, food, storage, tobacco, textiles, weather and other industries. 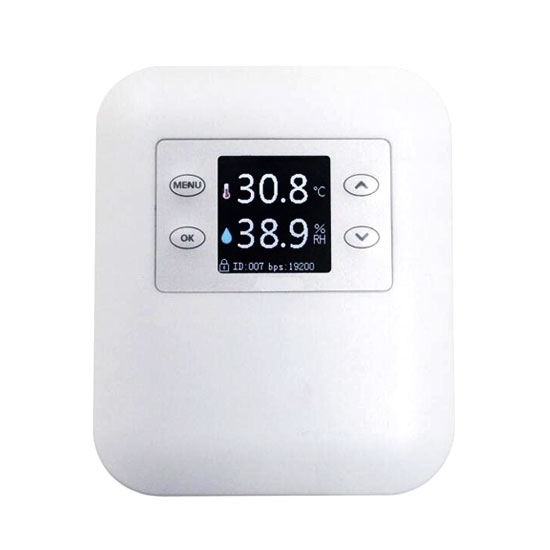 Wireless temperature and humidity sensor is suitable for apartment, production workshop and all kinds of storeroom, such as pharmaceutical warehouse, tobacco warehouse, record room, museum, cold storage, computer room and data center, as well as the remote centralized monitoring and control of temperature and humidity for freezer, incubator and cold chain transporter.